Step 3 – You’re DONE!! 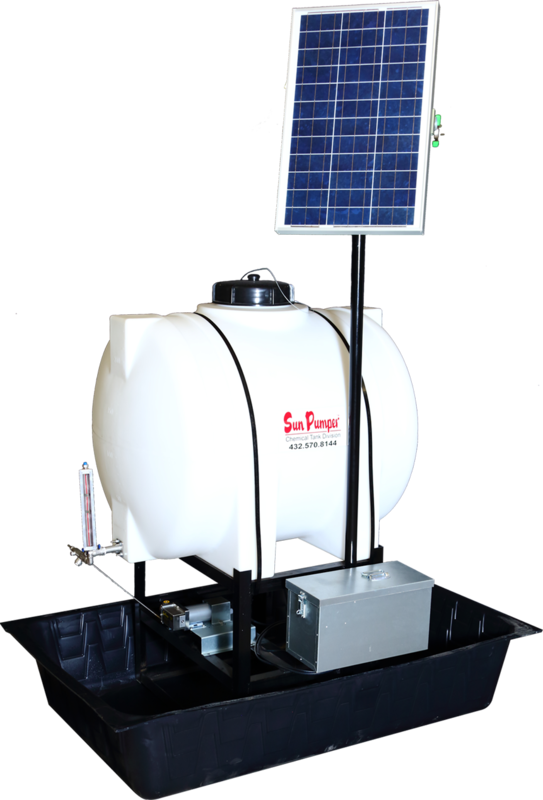 Our Standard System, Solar Sized (solar sized in red) for 5 GPD @ 1000 PSI, Consists of our Model 113 SS Pump or Model 880 SS Pump, 50 watt solar panel, 95 amp hour maintenance free battery, digital timer plate with relay and charge controller, single metal battery box, mounting pipe with clamps. Then our 25 years of experience goes to work to make a system that will work year round, day in and day out anywhere in the world! 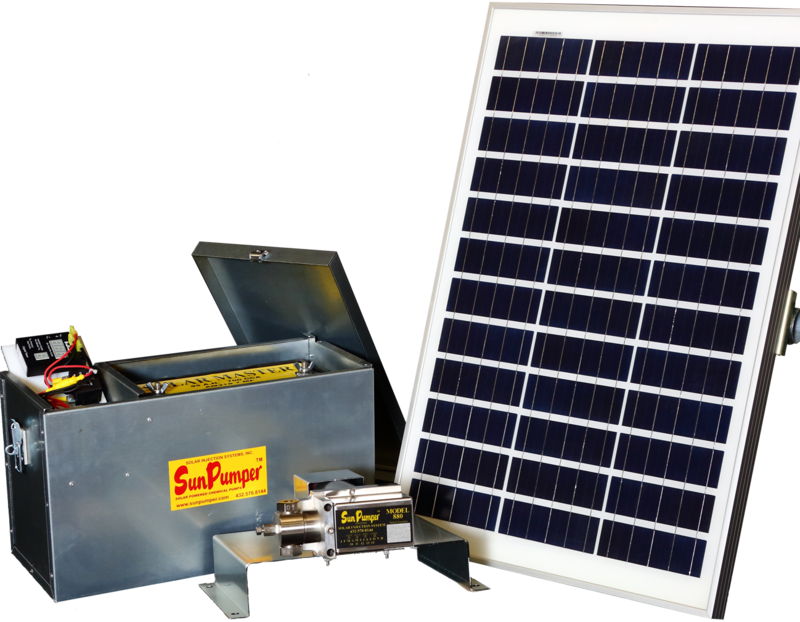 If you would like to purchase Sun Pumper products through your local supply source, please have them contact our offices to become a distributor. We can provide any necesary training to make you and your distributor succesful with our products. WANT MORE? CHECK OUT THE FIELD TESTS!